I just finished reading The Year of Magical Thinking by Joan Didion. Her writing style is so clear and direct, it makes me want to read more of her books. She also has a great face with a lot of character in it. Kind of like Samuel Beckett and James Joyce. 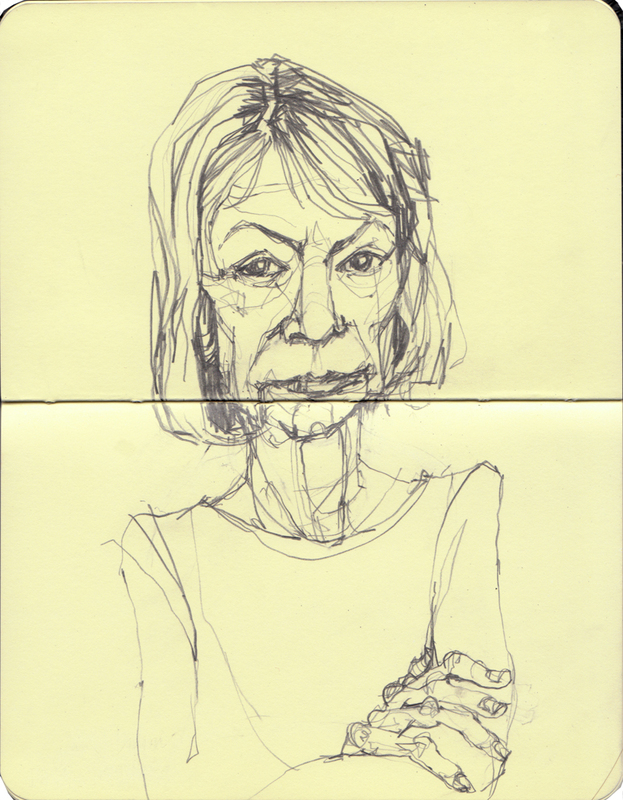 You can tell by her face that Joan Didion doesn't mess around. That's the kind of face I want to have when I'm in my seventies - no botox or "sweet old lady" face - I'll take the "I don't mess around" option. Have you ever seen photos of Joan Didion as a young lady? She was actually quite glamorous. If you've read and liked The Year of Magical Thinking and want to read another well-written book about mourning (albeit one sprinkled with a a large helping of pop culture references), I highly recommend this one. Love the new sketch, I can't see your links though... It says access denied request has expired :( I was intrigued about you recommendation! thanks for the heads up! the link should be fixed now!